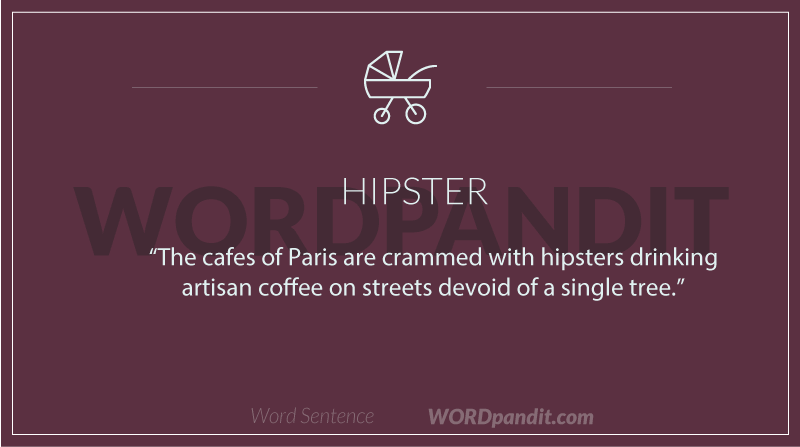 Hipster is one cool word, isn’t it? In fact, at one point of time, it was a thing to be a hipster. Got the video? This is what the hipsters of today would look like in 1962. Well, we just got to keep our fingers crosses, don’t we? 2. A person, especially during the 1950s and 1960s, characterized by a particularly strong sense of disaffection from most established social activities and relationships; in other words, a hippie. To learn more about the word, you should head over to the Wikipedia page for this word: Read here. This article will supply oodles of useful information for this word. Seriously they did! This is a term that came into the language back in 50s and used to represent someone who rejected the established culture; advocates extreme liberalism in politics and lifestyle. Going in a funeral dressed like a hipster !!! Are you crazy ?